English, late 19th century. 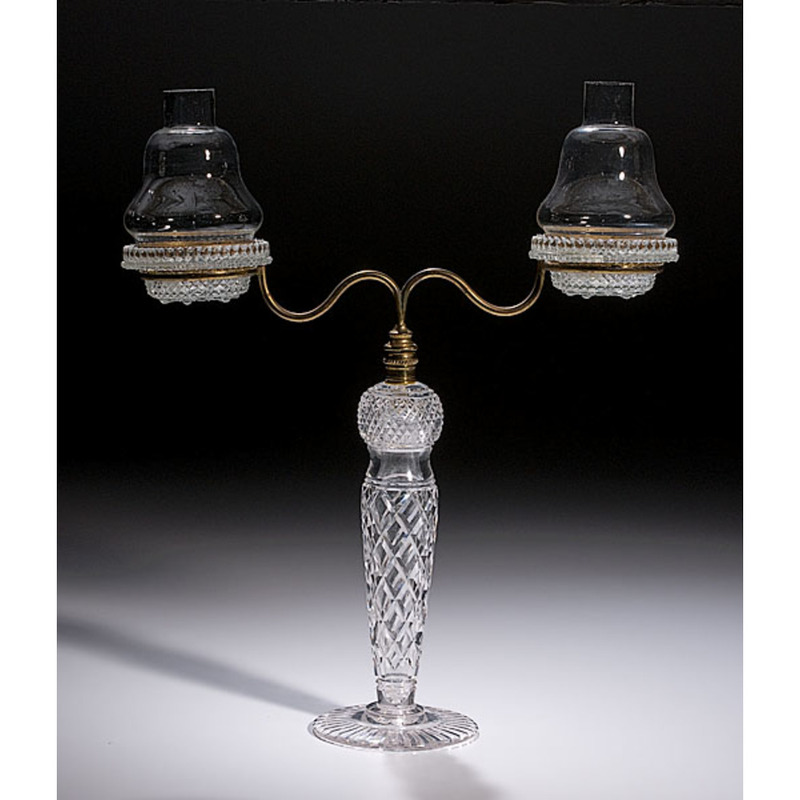 Hollow cut standard, possibly Waterford, with brass arms marked Clark's Trade CRICKLITE Mark and correct fairy lamp bases embossed Clark's Trade Mark Cricklite and chimneys with stamped brass rims embossed Clark's; 17.5" overall height x 14" wide. Condition:Few tiny nicks to tops of chimneys.